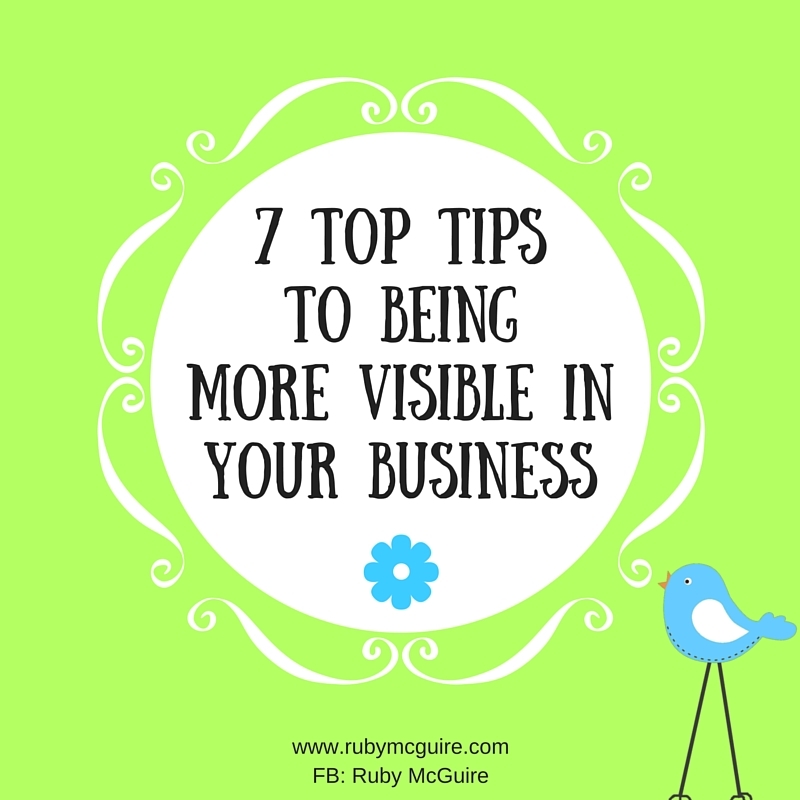 Contrary to what you might think because you might ‘see’ me everywhere, being visible in my business has been a challenge for me. I knew that if I wanted to get my name out there I was the only one that could do it, but truthfully I would much rather be at home, hiding behind my computer. I’m an introvert – I’m quietly confident but I’d much rather observe from the sidelines than put myself out there for everyone to see. I felt that people would be judging what I said, thinking I was a fraud. What did I have to say that others hadn’t already said? Who was I to call myself an expert in anything? I’m normally a fairly confident person but all of a sudden I realised I’d hit this whole new world of self-promotion and my introverted side was kicking and screaming. Fear, procrastination, overwhelm and self-doubt all started to bubble up. Prefer to listen? Scroll down and click the player at the bottom of the post. If you don’t know me, I’ve been running my own coaching business for 3 years now, more recently as a Visibility Coach for service-based Solopreneurs. Prior to coaching, I was Head of HR of a jewellery company. To cut a very long story short I suffered a back injury, I was unable to walk more than a hundred yards without being in extreme pain and wanting to cry. Unable to work for about 18 months, I spent a lot of time reflecting on where my life was heading and decided to retrain as a Coach and run my own business. As a Solopreneur, each new area I go into with regards to visibility still freaks me out. Last year it was hosting my own Telesummit, co-authoring chapters of a personal development book and setting up my own podcast show. I won’t let that stop me though – I want my business to be a roaring success, it’s my passion. It’s in my bones! If you’re a passionate Solopreneur running your own business you’ll know what I mean. Being more visible in your business is scary. We know we’re running a business and need to get out there and shout about it, but the gap between knowing what we need to do and actually doing it can be really massive. I know I let all sorts of things get in the way. I didn’t want to be judged, what if I didn’t have the right thing to say, what about all of those other people being so much better than me, so much further ahead with a lot more to say? We know we need to ‘sell’ our services, but we worry that we will come across as pushy or salesy, or that people won’t engage with us when we make the effort and do put ourselves out there. Hey, I’m an introvert, remember, so understand what it’s like when you know you are the only one that can spread the message. It’s not completely comfortable. I don’t know about you, but I don’t like doing all of that ‘hustle’. I just know I can help people, and that’s the bit I’m passionate about. “Wow! Just downloaded to my phone. It’s incredibly thorough. A fantastic free download. It’s given me an idea for a blog post and download for my business.” Kevin Oubridge – Director – Blue Chip Coaching. So, what are my top tips for boosting visibility? There are so many, it was a challenge just coming up with 7, but here are some of the key things that helped me to raise my profile. I had to choose to make the decision to get more visible TODAY. Less talk, more action! I found that surrounding myself with great support and then declaring my intention to others really helped, it’s amazing what accountability can do when it comes to pushing through new comfort zones. I wouldn’t have done half of what I’ve done if it hadn’t been for declaring it. 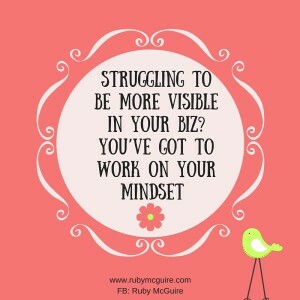 In my Rock Your Visibility Bootcamp, we work on both business and mindset simultaneously because it’s so important. I realised quite quickly that if you don’t work on your mindset as a business owner everything will be so much more challenging. You need to push through your comfort zones and it’s tough doing that when your mindset isn’t in the right place. The more you push through those comfort zones though the braver you become. Build your confidence, work on those limiting beliefs and get a strong mindset that serves you well. You don’t want to work with everyone – ‘Yeah, yeah’, was my usual response to this. ‘It’s alright for them to say that, they have a stream of clients coming their way.’ Despite folding my arms and stamping my feet, resisting this one on every level, it actually turned out to be true. To be more visible you want to stand out from the crowd, to be different. When you get really clear on who your ideal client is you can start to tailor your services/content to be relevant to them. You have clarity. All of your marketing messages are clearer, your ideal client knows you get them and they are much more likely to want to stay connected with you. Everything is SO much easier. Once you’ve cracked who you want to work with, and then what your messages are, be consistent. There’s no point just showing up one month every day and then nobody hears from you for a few months. Whatever method you choose keep showing up. I just kept showing up and showing up. Even in those times when I felt like giving up and now I have that steady client base, people connecting with me that have been following my work for a while. That took time and consistent marketing. Relationship building is VITAL. Business happens when people connect with you, when they can relate to you. When you start to connect with people, both on and offline you enjoy it more, and you get more clients. Make it your priority to engage with people on a daily basis; in online groups, face to face, via social media, email etc. Don’t expect overnight success with this though – relationships take time to build. I wish someone had told me how long it might take in the early days. I maybe wouldn’t have felt like giving up on occasion. I would have trusted that the results come when you keep going. Think about the areas you’d like to get more visible in and start to work out how you could uplevel your business. You might already be doing lots of great things, so think about what might be the next step up for you. Could it be going along to more networking meetings, setting up a podcast show, maybe doing some chats on Periscope or doing some YouTube videos? Try out my free Visibility Quiz– it’s a great way to help you identify what you are / aren’t doing. Focus on one or two areas to start with and do them well. If you had problems with your sight, would you prefer to go to your GP, who can give you generic advice or would you prefer to go to an Ophthalmologist, an eye specialist who’s an expert in that field? I know which I’d prefer. The same applies to being an expert in business. Ooh, this pushed my buttons when I first heard this – an expert – me? Yeah, right! How could I call myself an expert when I’ve only just started out? My mentors and coaches reminded me that it wasn’t just about the business I’m in now, but my life and work experiences. I spend time perfecting my skills, through books, coaching and mentoring, training. If you don’t feel ready to call yourself an expert yet, start to really perfect your trade, put in the work to become that expert. You want people to automatically think of you when they want to work with someone because you’re that go-to guy or gal. So what action are you going to take NOW to boost visibility in your business? It’s your time to stop hiding your fabulousness now too and Rock Your Visibility! The world needs what you have to share! In today’s post, I’ll be sharing how being confident is so important when running your own business, and how you should be minding your own business instead of worrying about what everyone else is doing. When you’re trying to be more visible in business you might find you start to spend more time noticing what other business owners do. You might be trying out new marketing strategies and methods, new ways of doing things, and you can start to get sucked into what everyone else is doing. Being confident is so important when running a business. Comparing isn’t helpful, unless it inspires you to take action and make change. You might be telling yourself that so and so is doing a brand new programme, another person is doing Facebook ads, someone else is trying out a super duper new way of doing something in their business and it can throw you off balance. You start to think that you ‘should’ be doing that or your business won’t be as successful. 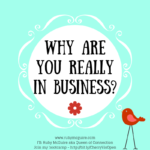 You need to question if it’s right for you and your business. What works for one person doesn’t necessarily work for someone else. One thing I share with my clients is that when running your own business it’s ok to gather lots of information from different places, but you want to be running your business, your way. You need to differentiate yourself from everyone else – it’s noisy out there! Anyway, you want to love your business, not feel resentful about it because you’re doing things you don’t enjoy. If being on Twitter sends you over the edge then don’t spend time there, find somewhere else that you do enjoy. If you hate writing blogs don’t write them, do YouTube videos or Periscope, or whatever it is that you do enjoy, even if everyone else is doing it. You have to work on the inner work as much as the business side of things. 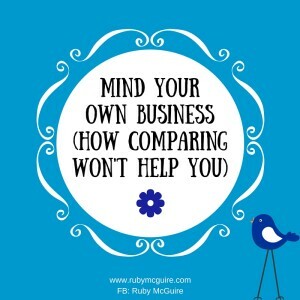 That’s why in my Rock Your Visibility Bootcamp we work on both business and mindset simultaneously. There will be challenges that come your way, obstacles to overcome and it’s building a level of confidence that is solid that will help you. So, how do you feel when you check out what everyone else is doing? Does it send you into a downward spiral of not being good enough, smart enough, far ahead enough? Don’t let it! Start to work on building your confidence so that when you do see someone else doing something different to you, you can think, ‘That’s a great idea, but my focus is here right now. I’ll stick with this and if it doesn’t work I can review it and change direction.’ Knee jerk reactions aren’t great when you’re running a business; you need focus, direction and a plan! If you keep changing in different directions you’ll waste loads of time, energy and possibly even money. Set a plan and follow it through. Don’t get distracted. As it said in that good old song of the 80’s by Baz Luhrmann – Everybody’s Free To Wear Sunscreen, “Sometimes you’ll be ahead, sometimes you’ll be behind”, and that’s ok. I was talking with a client earlier this week about how it’s so easy for us to put pressure on ourselves, we think we have to be a step ahead, we tell ourselves we should be further along than we are and we keep trying to come up with new creative ideas. Do you find yourself doing this? One quote I absolutely love is, You’re exactly where you should be right now’. Here’s a 4 step process that is really useful when you start comparing yourself to others..
Be kind to yourself – everybody is different, comparing is natural. Don’t use it as yet another tool to berate yourself with. What if this year you simplified everything? What if you stopped comparing, set a simple plan and stuck to it? How more confident could you be? We’ve talked about how being confident is so important when you’re trying to be more visible in your business, how comparing isn’t helpful, unless it inspires you to take action and make change, and how running your business your way is a much better strategy than checking out what everyone else is doing. 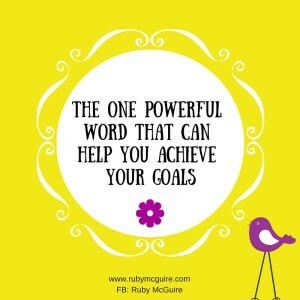 In today’s post, I’m talking about the one powerful word that can help you achieve your goals. I’m sharing how I set a word for the year each year, and what it has helped me bring about. I’m talking about the thinking behind it and how you can set your own word for the year. For the last 3-4 years, I’ve set myself a word of the year. 3 out of 4 of those years the word was fabulous. I think it’s a great word and it sums up how I want every area of my life to be. Last year I thought it would be better to create one simple word for my goals, a word that would encapsulate every part of my life. Last year’s word was simplicity. Let me explain what that word meant for me – I am a great believer in KISS’ing. Keeping It Simple Sweetie. I’ve always wanted to be one of those people that didn’t overcomplicate things, but I found myself naturally gravitating to adding yet more and more to my plate in both life and business over time. For me, simplicity in my business was about setting up systems and automation to make my business run more smoothly. It was about getting clearer on what I was offering and to who, making sure everything worked well together, and also in isolation. It was about working on just ONE THING (If you like this idea then you have to read the book One Thing by Gary Keller – it really changed how I do things). When you only focus on one thing you not only get things done, you also avoid all of that overwhelm because it’s just one thing to do and then you can move onto the next things. I simplified my self-care routines – I now have a list of things I can do, and I choose from them. Before when I was in the self-care zone it almost turned into a military operation – where’s the fun in that?! By simplifying I now have more time with my family, more time to read, more time to create and things flow. If I hadn’t spent time coming up with that word a lot of that might not have happened. As with simplicity, we can often overcomplicate our goals. Sometimes we can feel too restrained by the goals we set in place, and if we don’t get the results we long for our goals can eventually fall by the wayside. It helps you to keep focused. You can decide if something aligns with that one word, or if it doesn’t, and then make decisions based on that information. For 2016, my one powerful word is going to be CONNECTION. It took a while for me to figure out what I wanted it to be. I knew I wanted to bring in more fun but I also wanted it to be all encompassing like my year for 2015. The list goes on. Can you see how one word can actually inspire you to do so many things without necessarily having to sit down and work through a million and one pieces of paper to get there? Don’t get me wrong, I’m a coach, I love goal setting and planning, but sometimes we can just KISS. Setting our intentions with one all-encompassing word can be all you need. Make one word your focus this year and see where it takes you! As they say on One Word 365.com – One word. 365 days. A changed life. * Please note – Sanebox is an affiliate link. I only share links to companies that I have personally used/use and think are totally worth sharing. In today’s post I’m talking about how burnout can hit us all, but for some it hits more often. 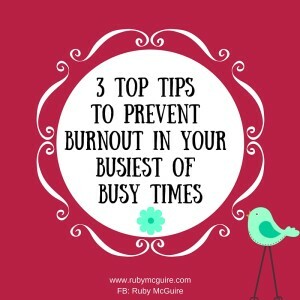 I’m sharing 3 top tips to prevent burnout in your busiest of busy times. Burnout can hit us all. For some of us, it hits way more often than we’d like. There are many reasons for it, but being a person that can hit burnout very quickly I know that for the majority of times it’s all self-inflicted. I had a great cycle of work flat out then burnout, which usually hit me every 2-3 months where I pushed so hard my poor little body couldn’t keep up. I got ill, slept most of the weekends, and felt lethargic and overwhelmed the rest of the time. Very likely, you will find that you’re trying to be all things to all people, perhaps trying to be the most resilient person in the world, almost taking on a martyr role. That sounds harsh, but it is often our people pleasing that gets us into the pickle in the first place. If you take away nothing else from this post, take away the word NO. It is one of the key things that will really help you in your busiest of busy times. You think that by saying yes to ‘just one more thing’ is the right thing to do, when inside your sensible self is screaming, ‘What on earth are you doing?’ Notice when you respond to someone how it feels. Is your jaw clenching, is there a knot in your stomach, is your mind racing at the thought of how you’re going to fit in yet another thing? Those are your clues that the word NO is needed! So, what boundaries do you need to set? To avoid burnout you have to make choices. You can choose to take on more work, or choose to set boundaries by gently saying you’re not able to take on more work right now. You can choose to stop and look after your self-care, even if it’s just a quick 5 minutes squeezed in between your next client and that pressing thing on your to-do list. You can choose to take time out to get really clear on what your priorities are, and allow others to support you. If you were to make better choices what would they be? When working with clients on overwhelm, which can often be the beginning signs of burnout, (well it is for me anyway) I get them to get all of their tasks down on paper. Getting everything out of your head is a great place to start. You can begin to make some sense of them, by grouping things together. Once you’ve got them down on paper then prioritise them in level of importance. When you run your own business you often have this thing where you think you’re the only person that can do things. I know of no big company that works with a single-handed business owner, without any support network whatsoever, so why would us small business owners not need a hand from time to time. It’s unrealistic. So one of the quickest ways to come out of overwhelm is to focus on one thing. Then focus on the next one thing once that’s done. Try this if you’re feeling overwhelmed with everything. Going back to your brain dump what are the key areas that you really want/need to focus on? Remember the rule: Does it have to be done? Does it have to be done by you? And the final top tip, if you haven’t figured it out already is to make self-care a priority. If, like me, you make a decision (key words – make a decision) to make self-care a priority you will find that it doesn’t need to be this way. I still push very hard, but now I know my triggers. I have set very clear boundaries and ensure that no matter how busy I am there has to be a buffer of time for me to step back from my business. We think that we have to keep pushing but the time lost in burnout could be prevented if we acknowledged that self-care is vital. Self-care shouldn’t be a quick fix that only kicks in when you’re at your most overwhelmed and burning out. It needs to be practiced consistently. We often go back to self-care when we need to be able to cope with all of the demands placed on us (whether by ourselves or others). You need to practice self-care on a continuous basis in order to prevent the burnout in the first place. Self-care can fit into 4 key areas – Physical, Mental, Emotional & Spiritual. Which of the 4 areas do you think you need to work on? If you’re someone that suffers from burnout then I’d highly recommend you head over to The Burnout Queens website. Those ladies are the gurus on burnout and they share some fabulous tips, all in a really fun way. Check out their blog post on super copers, it’s called Red knickers and a cape. It talks about those super powers we think we have, or at least we think we should have. I know the last time I looked I didn’t have knickers on over my dress, but then it has been a very long time since I’ve been on a night out haha. Your call to action this week: Take action on one of these areas, and if you still feel you don’t have time for that then just start practicing the word, ‘no’. You’ll be amazed at how much more gets done when those two little letters are used. In today’s post, I’m sharing how podcasting has helped my business. I’ll be talking about some of the things you will need to consider when setting up your own show, and give some hints and tips on how you can use the content as a marketing tool. 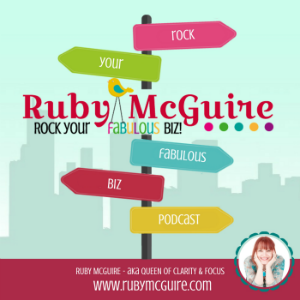 My podcasting show, Rock Your Fabulous Biz, started out as a personal challenge, I thought it would be a good platform to share useful content. I gave myself 7 days to set it up. Nothing quite like a bit of pressure! Ok so for the confession bit, I have a lovely VA that guided me through the process, so it wasn’t completely on my own, but still … in 7 days … really?! Let me share how it came about… I’d been running my Rock Your Biz Telesummit at the time (if you’re not familiar with the term a Telesummit is basically like an online radio or video styled show where guest speakers are interviewed and/or run a masterclass) We had a Facebook group where the speakers joined to answer questions around the content while the Telesummit was running. One particular day prior to the Telesummit commencing a person asked in the group which speakers had a podcast show. Only one of us said they did. Hmmm, I needed to sort that out, I had the podcast show on my list of things to do ‘one day’, but that was realistically where it would stay if I didn’t take some action, so challenge on. Now, it’s a bit of a learning curve setting up your own show, there’s quite a lot involved, so if you can give yourself a bit more time! You need to think about keywords for your show, to decide on a category for iTunes, a publishing strategy (a grown up way of saying what days you’re posting) you need a title and you need to set up an RSS feed (the scary techie bit) You have to think about what your show will be about so that you have a good introduction, and you ideally start with a few shows in the bag ready to go out on day one when you launch. Oh and I forgot the big one – what you’re going to say! There are other things you need to consider too, how you will record, do you need a mic, how will you use the content once you’re done, how will you market it etc. etc. I would never have pulled it off it hadn’t been for my lovely VA, Sandra Barter of Your Business Helper – she’s a star. She continues to work with me weekly piecing the intro and outro with my recordings. Thank you, lovely lady, you’re very patient with me! As I said, a learning curve, but now let me share with you how it’s helped my business, and how easy it is to do now that I’m up and running. Probably the biggie you want to know is this… Has it brought me more business? Yes, it has. Now that everything is up and running it’s just a case of recording the mp3 file, sending it over with a title to the lovely Sandra, and ta-da mission accomplished. I have a little plugin on my WordPress site, called Simply Podcast Press, which generates a draft blog post and then I copy and paste my transcript into that post to create a written post for my blog. I share the podcast show on my social media one day, the blog post a couple of days later, and put a link to my blog in my newsletter. 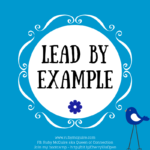 The text from the blog post is then copied and shared as a post over on LinkedIn, and finally each episode is shared in my free Facebook group. One piece of content, lots of different ways to share your message without killing yourself in the process. So if you’re thinking about podcasting my top tip would be to allow yourself a bit more time than I did, BUT I think setting a challenge is a good way to help you if you’re procrastinating on getting something out there. Does it increase your visibility – absolutely! People listening to podcasts are on the increase. We are often time-pressured and this is a way to catch up on content while we’re on the go. This is a great way to become more visible in the noisy marketplace. Are they fun to do? They are if you like to talk. If you don’t, then find the right medium for you. It’s your business, do it your way. Right now, I’m considering playing around with doing some videos; converting those into mp3’s for my podcast show and then doing the same process of a blog post, social media sharing etc. That way I have yet another medium with which to share my messages. Call To Action: If podcasting is on your to-do list, get your diary out, set a date and make it happen. Let me know when you do, I’d love to follow you! I’m always on the look out for new podcast shows to listen to. 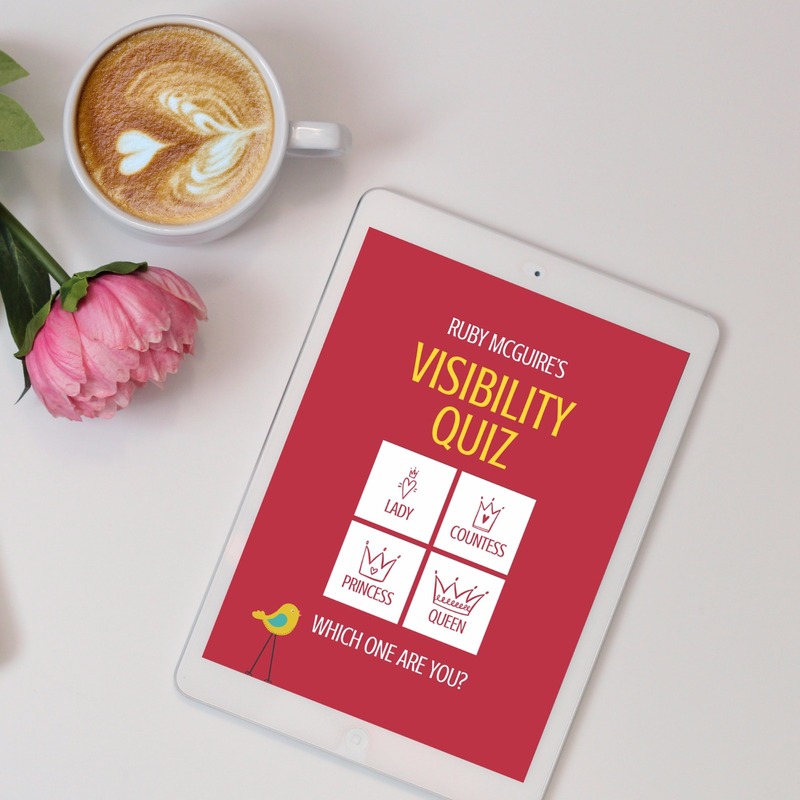 Grab your copy of my free Visibility Quiz – work out where you could be more visible in your business. Join my free FB community to connect with me and other fabulous service-based solopreneurs to help you Rock Your Fabulous Biz. Storytelling – you have probably noticed that more and more people are sharing their stories in their marketing. People are writing books about it, niching as experts in it and teaching it as part of their programmes. 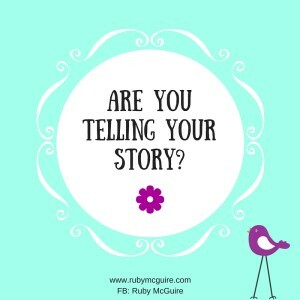 There’s a reason for this – storytelling helps to build a connection with your ideal clients, but it can be difficult sometimes to know what or how much to share, don’t you think? 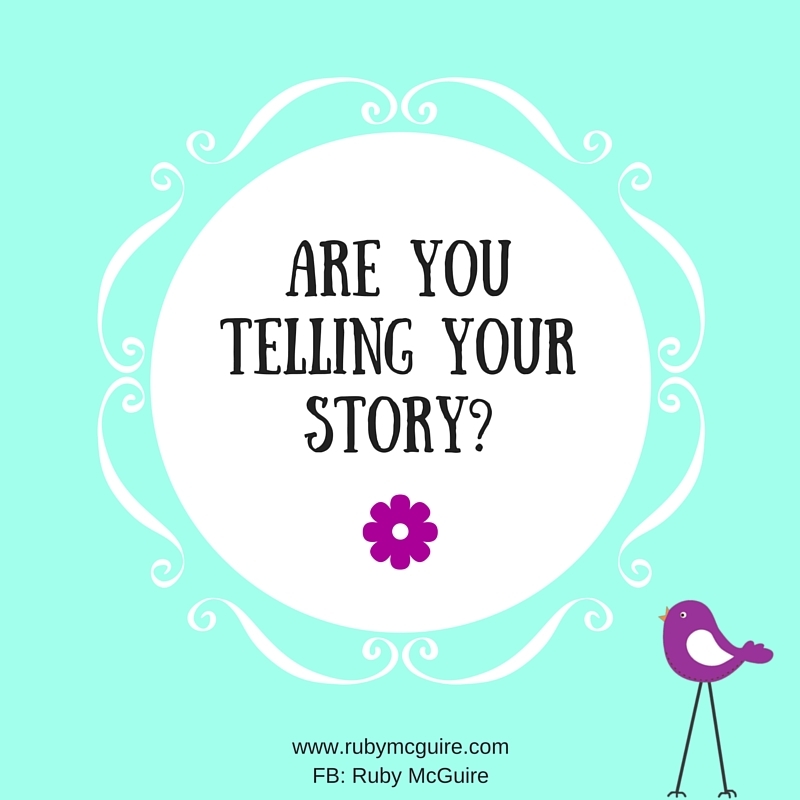 Are you telling your story? You don’t necessarily want everyone to know every single thing about you, but with the whole piece around people buying from people they know, like and trust, it’s something that you might want to consider. I hurt my back many years ago, and as a result was not able to work for around 18 months, and ended up leaving my Head of HR role and pursuing coaching. I used to burst into tears if I tried to walk any short distance and literally had to time the traffic lights so that when they turned red I would start crossing the road, only to make it to the other side just as the light turned green. Speedy I was not! I can remember feeling as though I was in slow motion and the world was rushing around me, it was surreal. I was told I’d just have to get on with it, I had a prolapsed disc and mechanical back pain, and I could have an operation, but there were serious consequences if it went wrong. ‘Just getting on with it’ is never really an option for me. I am one determined woman! I attended a residential pain management clinic for 3 weeks as part of my recovery and put together a strategy. I had one big goal – to wear my high heels again. Now, that might sound crazy to you, but for me it was part of my identity. So, with a timer in hand we put together a plan of getting me back into my high heels. I could only sit for short periods of time before my back would spasm so the timer was my new best friend. I started off at 5 seconds of sitting and worked my way up to 1 minute, 2 minutes and eventually 5 minutes. The same applied to my heels – each day another 5-10 seconds of time being added. It took time, probably about 6 months as I worked through the pain of taking on such a task but I managed it and now can wear heels for short periods of time, not without pain but the pain is worth it. After a couple of years of spinal injections and a lot of painful walking, I’m now mostly ok. I can’t sit for extended periods of time, I can’t do too much walking or standing in one position for very long, but I can have a normal life, which back then didn’t seem possible. I’ve learned how to manage the pain and figured out what I can’t do – like jumping on a trampette (definite no-no, and salsa dancing – sadly another thing that is no longer on the list) but there are loads of things I can do and running my own business has given me the flexibility I need that a corporate job couldn’t. I can work my own hours, take time out if I need to, without asking for permission. I’m often asked why I don’t share my story more. I guess for many reasons, one I don’t want to bore people. You may think your story is boring too, but to others it might not be boring. It allows them to see another part of you. When you’re the one in pain it turns your world upside down, but honestly you get sick of thinking about it, you want to talk about other things, normal things. One of my coaching friends challenged me on it the other day saying that I should share my story, that it’s about me overcoming adversity and I guess it is. If my story helps just one person to know that with a positive mindset, a belief that they can overcome a big issue, and forge a new path in life, then that’s a good job done really. Honestly, people probably don’t want to know about your love life, or lack of it, or sharing your habits, but by sharing your story you can start to identify with your people and that is important. It helps them to know that you’re a real person, that you haven’t just opened up a business and everything has always fallen into your lap. It helps them identify with you, that can build rapport and over time that might lead to a working relationship with you. So where do you begin? Think about whether there are boundaries that you wouldn’t want to cross. What things are too personal for you to share? It’s your business, you get to choose those stories that you are comfortable talking about. Think about how your story might help them. I’ve shared my story today as an example of using a story in your messages. What might help you to identify with your clients? Don’t overshare all the time. People don’t want to constantly know about the dinner you just ate or as we tease in our house, the ‘Oh it’s all about you again’ moments. Your focus needs to be on your clients, and how best you can serve them, but if a story from you helps them then consider sharing it, allow your personal side to come through. There are obviously other ways that stories can be told. In Seth Godin’s book, All Marketers Are Liars, he talks about how a story can sell a product. Whether it’s a company saying a particular glass is going to make your wine taste better, or a particular teabag is going to change your whole tea drinking experience, we all know that stories sell and that’s where marketing can be really powerful. In my post today I’m talking more about you. What can you be sharing with your clients to build a better rapport with them? Perhaps you’ve been in their shoes so can talk about it from their perspective, maybe you have had a big life experience where you learned some big lessons and you can share them with others so that they don’t make the same mistakes. Just remember it’s not all about you! It’s about them! Call To Action: Your call to action this week is to figure out what your boundaries are on the kind of personal information you share and then think of a couple of ways you could share more of the fabulous you with your ideal audience, then go out there and share it! Do you want a place where you can share this kind of thing in a non-judgemental environment? 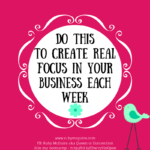 Check out my free Rock Your Fabulous Biz group on Facebook. We all have the same opportunities in front of us. Yes, we might be starting from a different place, but ultimately a mahoosive part of running your own business is working on your mindset – you’ve got to do the inner work baby! People have made money in business with £10 and others with thousands, some have only a few hours a day to work, others can work on their businesses full time. What separates you is mindset. It all comes down to mindset. If you’re not confident in what you’re offering people, then why would they be confident in you? What are you telling yourself when you market your services? I was going to say market yourself there, instead of your services, but maybe that’s where we need to start. While there’s an element of you marketing you (we all know people buy from people they know, like and trust) actually you’re marketing your services, and how you can help that person improve their life and/or business. If you’re constantly telling yourself, you’re not good enough or thinking your prices are too low what impact do you think that has on your potential client when they speak with you? You will be coming from a place of need, or worse, desperation, which isn’t going to serve either of you well. Instead of thinking about all of the ways that you’re not good enough, start to notice all of the things you ARE good at. There are so many ways that we can hold ourselves back, we can be our own worst enemies. It might be fear of rejection, fear of success, perfectionism, procrastination, self-talk etc. etc. Could you be rejected when you put yourself out there to market your business? Well, yes, you could, but even the most famous people get bad reviews. Does that stop them? Not usually. Most of them say they just stop reading the reviews. Ultimately, those that may reject you are not your ideal clients, so don’t waste your energy worrying about trying to get them to like you or what you do. Focus on YOUR clients, the ones that love what you do. Respond politely to those that aren’t the right fit for you, learn any valuable lessons and move on. Should you be scared of being successful? Well, it’s kind of an unusual one because we all want to run successful businesses, don’t we? The thing is we might have underlying limiting beliefs that by being successful other people are going to suffer, so you need to work on and release those blocks, or they will hold you back. Then there’s good old procrastination. If you’re procrastinating it’s often for a good reason – maybe the timing’s not right, maybe your intuition is telling you that you need to hold yourself back for some reason, maybe you’re scared – the latter is often the most likely. Ask yourself which is more important – to handle that same piece of paper 10 times in one day, get sucked into inane posts on social media, or to do that job that you know will get you in front of more clients? What is happening when you procrastinate about that task? What thoughts are going through your head about that specific task that you are putting off? What is the procrastination hiding? All other fears are learned which is FANTASTIC news because that means we can unlearn them! What are you missing out on by not taking action? How will life be different for you if you just take one small step through fear? Recognise your excuses. What’s really going on? Dig deep. Stop looking for validation – you don’t need to be perfect, you’re fabulous as you are! Expect rejection – not everyone will like you and that’s ok. 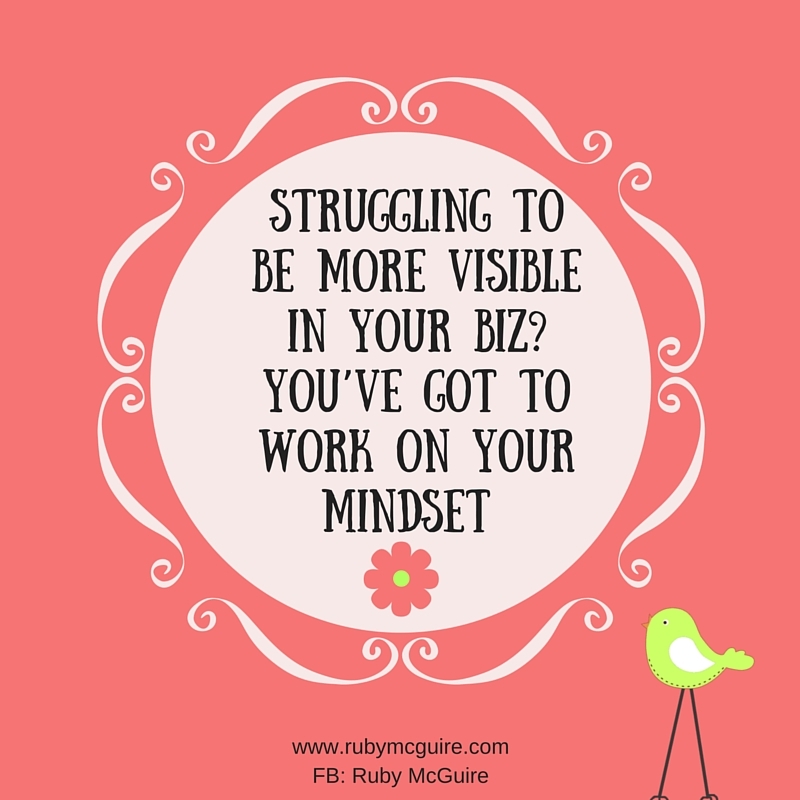 In my upcoming programme, Rock Your Visibility, half of the programme content relates to mindset, because you really do need to work on this in order to run a successful business. Call To Action: Notice where your thoughts aren’t supporting you, catch that negative self-talk and change your inner dialogue. Fix your mindset while you’re building your business and you will have some fantastic solid foundations in place to set you up for success! 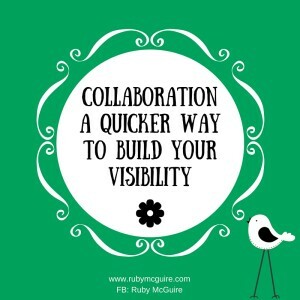 Collaboration – A Quicker Way to Build Your Visibility – In today’s post I’m going to be discussing how working with other people can really help to raise your visibility. I’m going to be sharing some of the benefits of collaboration, the types of things you can use it for and some tips around etiquette. When it comes to raising your visibility, collaborative relationships can really help boost your business and help you to get noticed. Running your own business as a Solopreneur can be lonely. It can take time doing it all on your own. We have to do everything ourselves. We’re the marketing person, the Bookkeeper, the sales person, the admin person etc., and don’t have the luxury of being able to bounce ideas around with a team of people. Or do we? It’s really important to surround yourself with a tribe of business people that you can connect with, both on and offline. We don’t want you turning into a hermit. As humans we need human connection. So before you do anything on this, start to surround yourself with some fabulous people that you can brainstorm ideas with. People with whom you can talk openly with, about your challenges, fears and successes. You don’t need to run your business all on your own. Now, what’s great about those connections is they can, over time, turn into lovely business collaborations. One thing I love to do is connect people with people, I encourage my clients and Facebook group members to connect with each other so that they can form some collaborations. 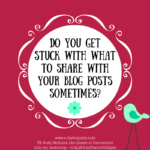 It can be as simple as agreeing to share each other’s blog and social media posts. Or it can be as involved as hosting a telesummit like I did last year. I collaborated with 11 amazing women, all running their own independent businesses, and invited them to share their business hints and tips with our audience. It can help you to grow your business – through collaborative projects, word of mouth referrals, affiliate schemes etc. etc. Collaboration can be amazing, they can be fun for you where you get to brainstorm with someone else and try out new ways of working, and they can be great for helping you to grow your business too, plus you can learn loads of new things along the way. 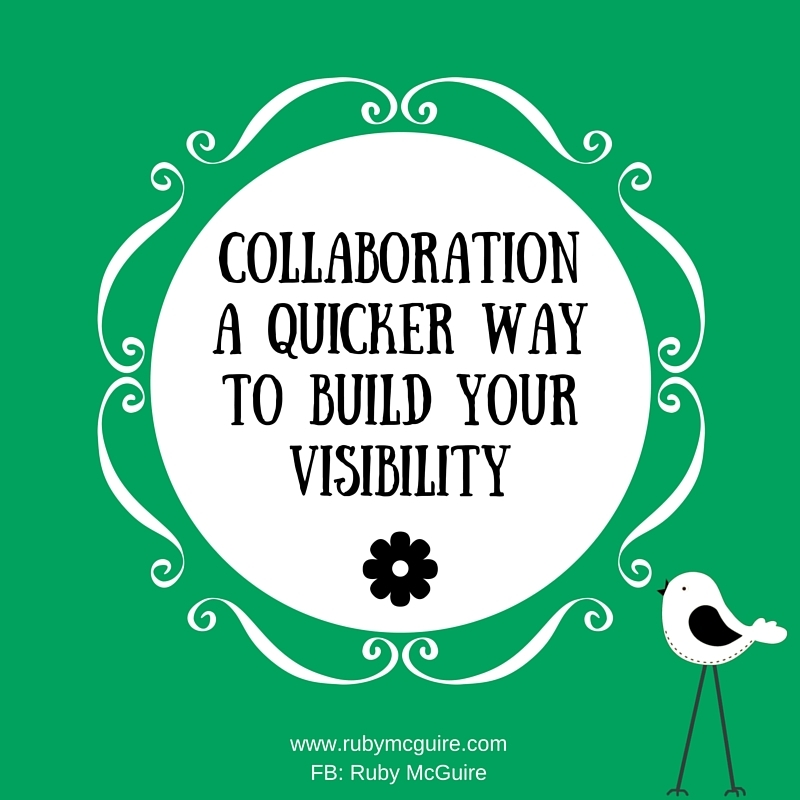 There are loads of ways you can start to build up collaborations. You might start with your local networking group – you could arrange to meet up 121 for a cuppa outside of the meeting to get to know more about the other person’s business. 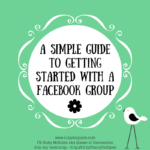 You could join online groups and start to connect outside of the group, again to learn more about each other. You don’t want to be too similar or there might be clashes. Often the differences between you make for a good collaboration. There ideally needs to be a link between what you do– so let’s say if one of you works with clients on confidence and the other works in hair and beauty there could be a great collaboration there. You can work with people that have complementary skills, or perhaps people you might think are competitors but you both have your own unique way of doing things. With competitors your ideal clients might be the same so it can work to your advantage. Anyway, I believe there is room enough for everyone in this world, so competition doesn’t even need to apply. Now, you may have had a bad experience with collaboration, but that doesn’t mean that all collaborative partnerships will go the same way. Get really clear on your boundaries and go out there and build your businesses together. You don’t have to have contracts necessarily, it depends how formal you want the relationship to be but it helps to get terms of reference at the beginning of your relationship – clear terms of who is responsible for what and when. That could be a simple private message saying, I’ll do this if you do that, or you could go a more formal route. This helps to set the boundaries from the beginning. I’ve been on the receiving end of both, and I’ve made lots of mistakes myself along the way, so let’s just check out a bit of etiquette before we move on. You’ve probably had it yourself where someone has direct messaged you on LinkedIn or Facebook etc., asking you to spread the word for them. That’s a no-no, UNLESS you’ve already got a good relationship together. When you have something to launch they will be much more willing to help you if the relationship has been a mutual one. Bombarding someone with information expecting them to share your latest offering isn’t fair, unless again you’ve created that great relationship with them in the first place. If you’re just asking them to share something for you, then offer a way that you can help in return. I know I’ve messed this up myself in the past. I know that when I ask for help I will always help that person in return at some point, I never forget when a person has helped, but if they don’t know that the message might be received as being quite rude. I’ve asked for market research in groups in the past, where I get people to jump on a call with me, and that’s fine if you have the connection, but I could have been anybody asking for help. Going forward now, I offer them something in return, whether that’s a share on my post, to help connect them with someone or jumping on a call with me. The level depends on how much time I have available and what my request has been. We all have things we need to launch from time to time in our business, like a new programme or a book, telesummit etc. Don’t just contact someone asking them to become an affiliate with you for their book/programme though. For me, I won’t be an affiliate for anything I haven’t personally tried myself, whether I know the person or not. I might know that person has fabulous content, but if I haven’t experienced that one thing first hand then I won’t become an affiliate for them, full stop. I choose my affiliates very carefully. I don’t want to vouch for something that I’m not familiar with. If you want someone to be an affiliate for your programme or book/package etc. then give them a copy of your book, or access to your programme, or at least a taster of what it is that you offer. You wouldn’t promote a film you’ve never seen. So, why would you go all out and promote someone else’s programme or product if you’ve never even seen a copy, or have an idea of what it’s about. So this all sounds great, but what do you do together? Here are a few ideas, but the list is as limitless as your imagination! • Cross-promote in social media, newsletter, blog posts etc. In today’s podcast we’ve talked about what collaboration is, some of the benefits in boosting visibility in your business, the types of things you can do, how to get started and the etiquette of collaboration – we can all get it wrong – it’s a continuous improvement process. So now I’m going to leave you with a call to action. Time For Action: Your action this week is to connect with one person that you’d love to know more about, and find out whether longer term there might be opportunities for you to work together. Want some group support? 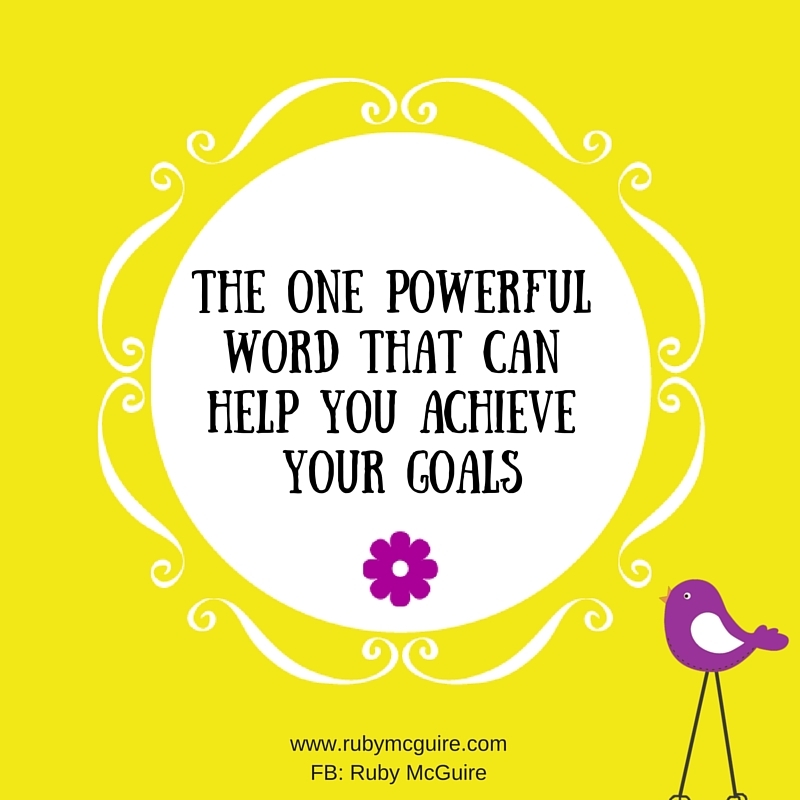 Come and join my free Rock Your Fabulous Biz group on Facebook. Let’s talk about worry. 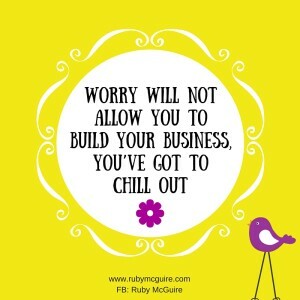 It’s not pleasant at the best of times, but what I want to share is how worry will not allow you to build your business, you’ve got to chill out. It can hold you back in your business so I’ll be sharing some simple strategies to help you kick your worry into touch. Listen to the podcast below, or scroll down if you prefer to read the transcript. 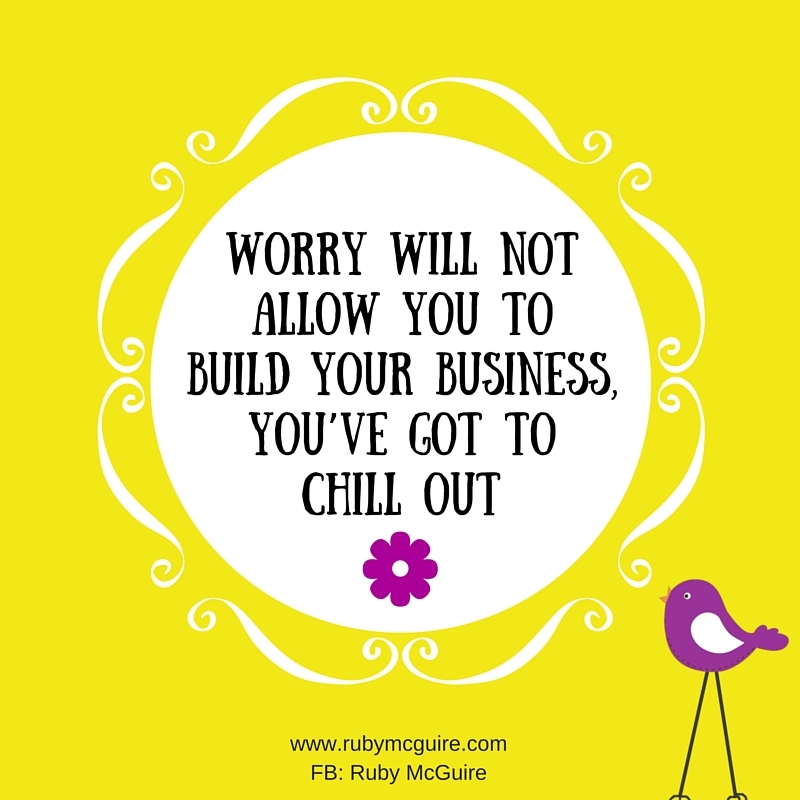 Do you ever worry about your business? Maybe you’re wondering where your next client is coming from or what you need to do next to hit that next level of income? Perhaps you’re waking up in the middle of the night thinking every worst-case scenario under the sun; you think that you’ll lose your house, get thrown out onto the streets etc. Maybe it’s not that bad for you, but you’re still worrying about every single thing you do – whether it’s the right thing and whether it will help you build your business. Worry is completely pointless, unless you’re one of those people that can use worry to motivate you to take action of course. If you are then keep worrying, if it ain’t broke, don’t fix it! Trust me on this, I can be a lovely little worrier. It used to be that if I wasn’t worrying about something I’d be worried that I wasn’t worrying! We create these amazing fabrications of what might happen or who we are when in reality things might not be bad after all. Now I’m not trying to make light of some the very real concerns that come up in life, I’m talking about those niggling worries where we ultimately view ourselves as not good enough. I was working with a client recently who had lost a couple of clients through nothing other than circumstances, no fault of her own. She then started going down a rabbit hole of not knowing where to begin, there was no light at the end of the tunnel. In our time working together, she was doubting her ability to get new clients, despite having had clients for many years. The doubt was creeping in because it had all come as a shock to her. Business was normally booming at this time of year, but this time was different. If worry is taking you down a rabbit hole then I want you to stop it right now! When you lose your confidence you stop showing up, you question every single thing you do, and feel as though you’re going to get found out for being a fraud at a moment’s notice. It would have been easy for me to spend time with my client on how terrible her situation was, or could be, but what good would that do? What we did instead was stop focusing on the problem and start focusing on some solutions, getting some real clarity about how she could move forward in her business to bring that lost income back in again. We talked about what things would lift her spirits to get her into a better place, such as inspirational quotes, books, meditation and a gratitude practice where she can note down all of the fabulous things that are happening. She needed to spend time doing all she could to get back into that positive place again so that she could start to focus more clearly. We all know there’s nothing worse than talking with a client about working with them when you’re coming from a place of lack or need. It doesn’t feel great for anyone, so I encouraged her before each call with a client to get into a place of positivity, not attached to the outcome but coming from a place of service. The interesting thing is when you start to get focused on solutions your mood starts to shift, you can begin to see the wood for the trees finally. Taking action is a great way to overcome some of that worrying. You don’t have time to think about it! If you’re familiar with Stephen Covey’s, Circles of Control and Influence then you’ll know that there is only so much that you can control. If you haven’t heard of it then there are basically three circles, the outer circle is related to those things that you can’t control, the middle circle those things you can influence and the inner circle what you can control. You can kick worry into touch by focusing on those things you can control and influence and letting the rest of it just sort itself out. Focus on the small things. You have to put things in perspective. With my client for, example, was it true that she wasn’t good enough for anything just because she wasn’t working with 2 particular clients? Absolutely not, she had years of experience and work under her belt to prove otherwise, but we can so easily get into that rut of believing our own storytelling. It’s time to hit that pause button on worry – park it until later if you have to. Set aside some time to worry later if you need to, and for now focus on what you can do next, and then the next step after that. I stopped watching/reading/listening to the news a couple of years ago. I take the attitude that the news will find me if I need to know it. Am I out of touch with a few things? Yes, definitely. Am I being naïve? Maybe, but am I a more positive person by not watching it – totally! I don’t need to fill my head with negativity about economic downturns, politics and war. I’d rather fill it with things that help me to create an amazing life and business that I love. They say you’re the sum of the 5 people you hang around with. Whoever ‘they’ are. Take a look around you, who are you surrounding yourself with? If they aren’t lifting you up, but bringing you down then maybe it’s time for a change. If you want some support to improve your confidence and visibility in your business book a free discovery session with me to find out how we can work together, so I can help you to get out of your rabbit hole. 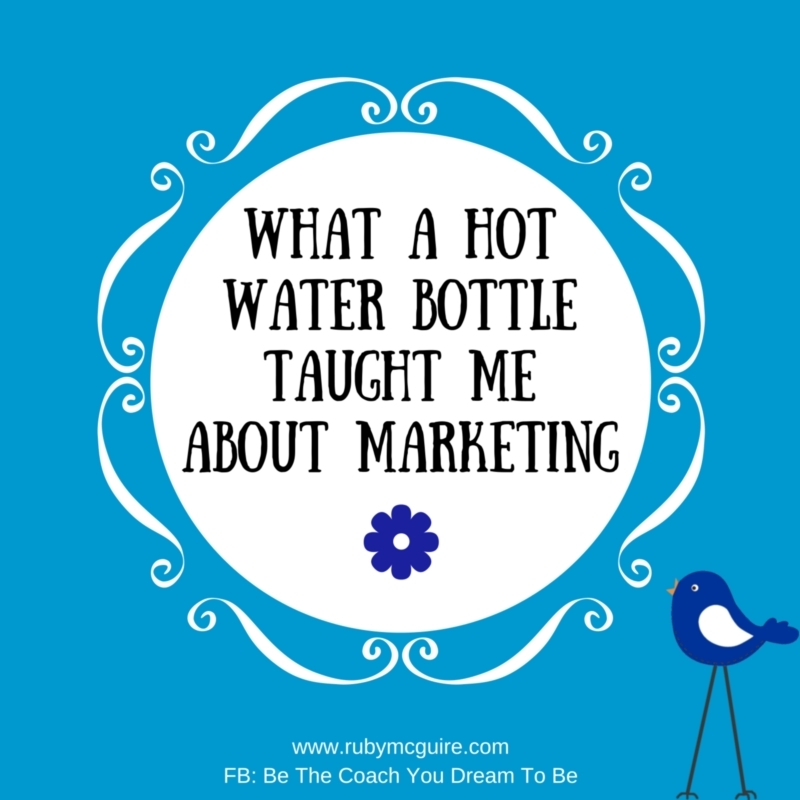 In today’s episode, I’m sharing what a hot water bottle taught me about marketing. There are certain things you need to consider before you start talking to your audience. Have you ever talked to someone and they just have no idea what you’re talking about?! Often with our families or with friends we can have a whole new language of our own, or is that just in our house?! We do have some odd names for things. I was chatting to my bestie recently and told her that I was using my ‘Judy’ to help my back. She said, ‘What on earth’s a Judy?’ ‘It’s a hot water bottle’, I replied. ‘Have you not heard of it being called that before? She said, ‘No, never’. It’s something that my family have always called it, my Mum and her Mum before her. Now I don’t know if it’s an Irish thing or if it’s just something that’s been passed down through the years but it’s always been a ‘Judy’ to me. 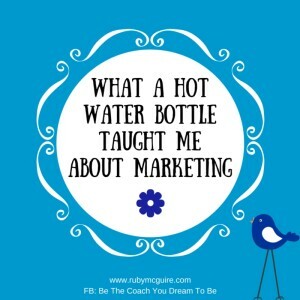 This really got me thinking about some of the marketing messages we put out there. If we think there’s any way that someone might not understand what we mean then we need to clarify it. If you want to be visible in your business then you need to make sure that your messages are being received in the way you intend them. I remember when I used to work in HR there were so many acronyms being bandied around – it drove me nuts. When communicating with people and writing policies it was important to remove any ambiguity from what was being said. If you’re not sure how something will land test it out. You could use the words at a networking meeting, for example, run them by a friend or just simply notice when someone looks confused or asks what you mean. It’s great when people do comment as it helps you understand where you need to develop your topic, but remember not everyone will comment so if you’re using possibly unfamiliar terms qualify them where you can. If you’re using acronyms then just expand on them so that people know what you mean. We live in a fast-paced world now where we use a lot of shortened words or phrases to sum things up, which is fine if the other person understands those terms. If they don’t it’s your job to help them to understand them. Clarity is key. If you’re working with an international client base then remember that there may also be differences in some of the terminology used from one country to another so that might need quantifying too. I was recently working with a client that had pulled together a newsletter and works in an area that not everyone is familiar with. She has two types of potential ideal clients, those exploring a new area and those that already understand some of the terminology that she uses. Her message was great for those that already had the knowledge and understanding, but she was missing out a huge chunk of people by not being clear on some of the terms she was using. To her they were almost second nature, but not necessarily to someone new to that arena. By her spending a bit more time expanding on what she meant by something she started educating those that are new to her chosen niche. This had the added value of opening up more opportunity for people to work with her. How lovely to be able to help them grow by teaching them something new too. You may well be the first person that introduces them to something completely unfamiliar to them. Another example of this is my rebranding around being a Visibility Coach. Online it’s a term that’s mentioned quite a bit. 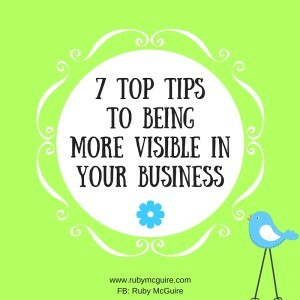 There are lots of people online saying that you need to be more visible if you want to launch/grow your business. Offline though people aren’t so familiar with the term so it needs a little bit of explanation. It’s absolutely fine to have a title or business that needs a bit of explaining, it can even be a conversation starter. If you need to explain it are you explaining it clearly to those people that need to hear it? Obviously all of your messages should be tailored to your ideal clients and that way you’ll know you’re talking to your ‘tribe’ as it were. You don’t need to try and come across all professional, using fancy terminology (unless of course your ideal client only understands that fancy terminology) Just be you and clear with your message. You don’t want to confuse them, you want them to feel as though you’re a good fit, if they don’t they may never end up working with you. Make it easy for them to understand who you are, what you offer and how you can help. It’s something I’m always working on, as it’s easy to think you’re being very clear, but where you’re so close to your business sometimes you completely miss something totally obvious to others! I’ve been playing with a little brain training app called Elevate which has lots of games where you have to reduce the number of words to make your message more effective, it’s amazing how we can add in lots of unnecessary words. Worth checking out if you’re an App Queen like me! Call to Action: So your action for this week is to check in with yourself where you might need to get even clearer with your messages. A good test is to ask whether a 10-year-old would understand what you’re saying. If they would then you’re on the right track as you’ve kept your message clear and simple. In general, this still goes back to that good old niching thing that I’m always banging on about. When you are really clear on who your ideal client is your messages will be a lot clearer.